- In a large cast iron skillet layer one half of the tortilla chips with beans and cheese. - Bake until cheese is melted, about 10 minutes. - Remove pan from oven sprinkle with scallions, tomatoes and diced Brandt Mexican Salami. 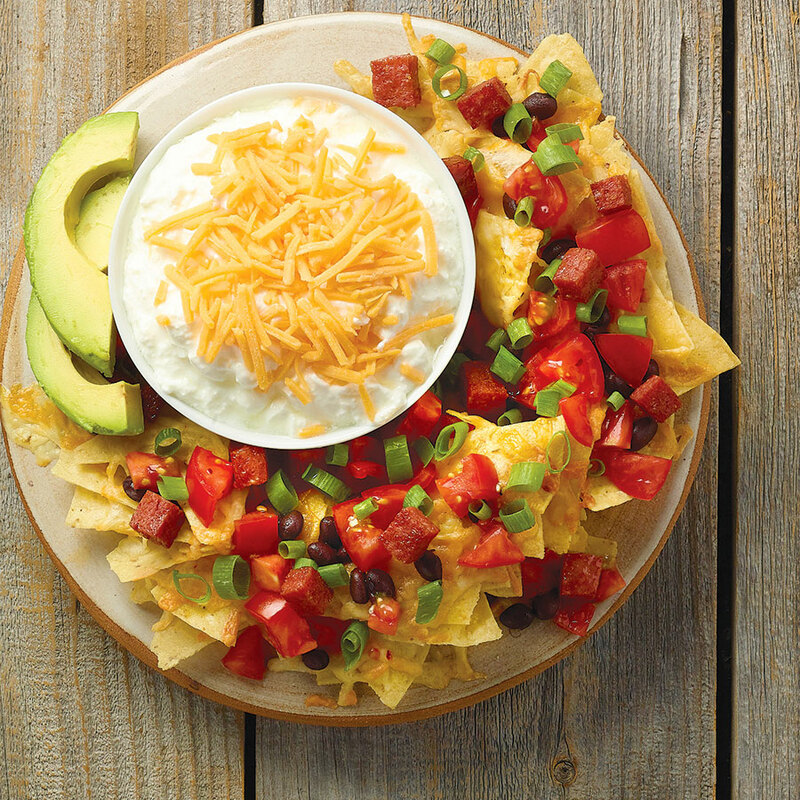 - Serve immediately with Mild or Medium Luisa’s Fiesta Dip.